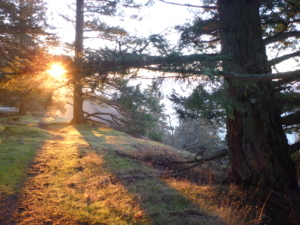 On March 19th the Galiano Club will be holding a “Bluffs Open House” from 1:30 p.m. on. Meet at the Lookout parking lot to join in trails exploration, perhaps some birding, a Bio-Blitz (learn about the bio-diversity of the Bluffs) and tour of the Charcoal Pit Kiln. This is a chance to check out the trails with experienced Bluffs trail travelers. Learn how to make a variety of delicious nettle dishes and how to remove the sting so that you can take advantage of all of nettle’s incredible health benefits. 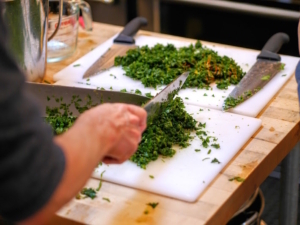 This hands-on class includes cooking demonstrations and is suitable for all levels of cooking skills. It’s a prime opportunity for those looking to develop their skills and incorporate wild foods into their diet. We will create a delicious meal to share around a communal table at the end of the evening. 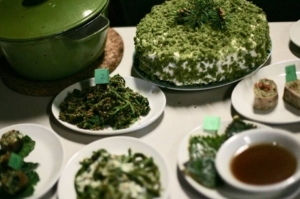 This is a chance to bring questions, and get ideas for your entry into the Galiano’s Next Top Nettle Cooking Competition at the Potluck. 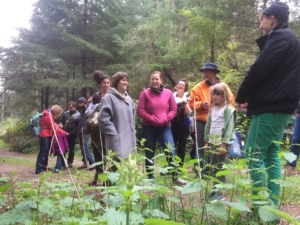 Bring your cameras and notebooks and learn about foraging in our local forests. We’ll walk through Galiano’s wild places and talk about nettles and other edible wild greens, how and when to pick them for a sustainable harvest, where they grow, and their roles in our local ecosystems. We’ll also learn about their nutritional and health-giving properties, and how best to preserve them. Perhaps you have seen the videos on Facebook teaching you how to “magically regrow” vegetables from your table scraps, such as celery or onions from discarded ends. 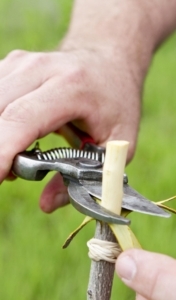 While that is definitely one use for propagation techniques, there are other benefits too, such as growing plants that are hard to find in a nursery (but spotted in your neighbour’s plot), growing cuttings to give away as gifts, or saving the cost of buying seeds or nursery starts when you’re expanding your garden. Plant propagation is “the process of creating new plants from a variety of sources: seeds, cuttings, bulbs and other plant parts.” (Thanks Wikipedia.) It’s surprisingly simple, as well as sustainable and cheap. And it reduces your dependence on multinational seed producers, while building community too. We are very happy to host Manon Tremblay for a Propagation workshop in March. This workshop looks at different techniques to help you grow the plants you always wanted without having to buy them! We will learn about hardwood and softwood cuttings, layering, air layering, division, grafting, as well as looking at different seeding techniques to ensure germination. Manon is a Horticulturist and Environmental Educator passionate about edible plants and organic gardening. She has been working as a Landscaper and Landscape Designer for the past 15 years and loves to share her experience and interests with enthusiastic gardeners.